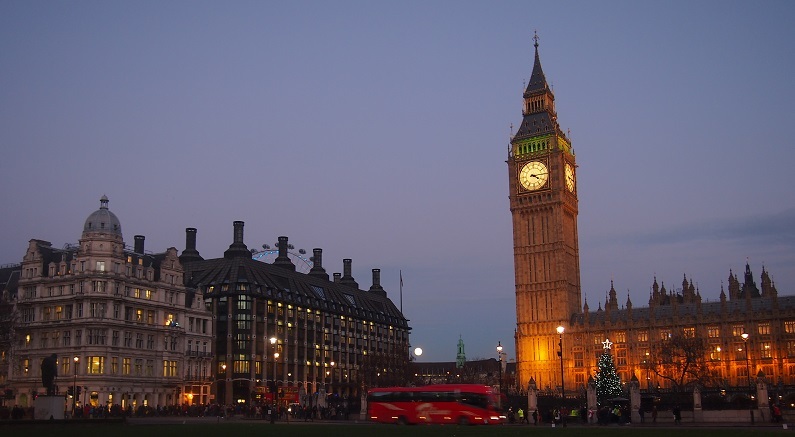 If you only have three days to spend in London, it can be done and done right. Below is a short list of places to dine, as well as things to see and do!! First, when we arrived in London we hopped in a taxi and headed to the Ruben at the Palace. It’s a boutique hotel located .2 miles from Buckingham Palace. Great location, warm welcome and very comfortable! We were walking distance to many things and it’s very easy to catch the tube. Upon check-in we made our way to Gymkhana London -Gymkhana is inspired by Colonial Indian gymkhana clubs, set up by the British Raj, where members of high society came to socialize, dine, drink and play sport. It’s not only amazing food which was voted the best restaurant in England and gained a Michelin star just recently. However, with all this said it’s still very reasonably priced. Just be sure to make a reservation as it’s not an easy one to get into! After lunch we made our way over to the Crown Jewels and the Tower Bridge, a must see when traveling to London! The Crown Jewels are just magnificent! One of the highlights of the trip was our High Tea at the Savoy. Perfectly placed in the heart of one of the world’s most exciting cities and on the banks of the River Thames, The Savoy is just steps away from the color and vibrancy of Covent Garden and a short taxi or boat ride to renowned London landmarks or to the ultimate designer shopping destinations of Knightsbridge, Mayfair and Chelsea. We started with a beautiful bottle of champagne, and numerous delicate finger sandwiches, entailed a seemingly endless offering of lighter-than-light scones, sinful yet dainty pastries, gateaux and cakes that would test the resolve of even the most dedicated dieter ending with a wonderful London hot tea! Excellent food, excellent teas, excellent service in very elegant surroundings, an absolute must for a family celebration, special occasion or just because. Next on the agenda was the Jack the Ripper Tour – There are many, many Jack the Ripper Tours to choose from in London, but this one has loads and loads of endorsements. We arrived late and went on another tour that was not bad, but if I had it to do over I would make sure we went on the one highlighted above!! Rick Steve’s recommends it, as well! Very interesting to say the least! We barely made it, but we did…when you step into ICEBAR LONDON, it’s exactly what they claim “a cold sensory experience where the walls, bar, tables and even your own personal glass is made from crystal clear Torne River ice which is harvested from the pristine winter wonderland of Jukkasjärvi in Northern Sweden.” It’s chilling experience!! After ICEBAR, we had to have one more drink and little snack, so we could soak in the amazing day we had just conquered, so we made our way over to the Grosvenor Casino for a bite to eat and gaming!! I have to say day one in London was absolutely perfect!!! We made our way over to Buckingham Palace for Changing of the Guard, then we had to have some world famous fish and chips at The Albert. The atmosphere was exactly what we expected and the fish and chips were calling my name. The Albert is found in the centre of Westminster, with its striking façade and superb Victorian detail. It was built in 1862 and is the only remaining building from the original phase of the development of Victoria Street. Charming and true to London! After lunch we did a little shopping and made our way to Big Ben and London Eye and then over to Westminster Abbey. Westminster Abbey was mind boggling and we found it to be dripping in family drama, politics, endless money and of course the power of the dead. I would definitely visit again. The head set is a must. After the show was over we had dinner reservations at The Ivy. Unbelievable. The Sticky Short Ribs are a must, and you can’t go wrong with the Lobster Macaroni. We completed the evening with the Sticky Toffee Pudding and beautiful glass wine from Tuscany. We were supposed to have lunch at Pollen Street Social, which we did not make and I’ve been told it’s absolutely amazing. I had to at least mention this for those of you that are foodies. It is on the list when I return. We had a light lunch at Harrods and did a little window shopping. Harrods is just absolutely beautiful around the holidays. Even if you pop in just to say you have been there. We did get spritzed with the new the Bond No.9 Royal Rose- Exclusive to Harrods. If you have £395.00 to spend on a gift for yourself or someone else…it will be loved. There are hints of roses from the royal garden or so we were told. We then made it to Spitafields Market. London’s oldest market, Spitalfields is now a seven-days-a-week destination. Spitalfields markets, once a Sunday-only mainstay, are open every day. Resplendent under a Fosters & Partners-designed glass canopy, Spitalfields Traders Market and shops offer cutting edge fashion and interiors, original artworks and as well as food. Spitalfields market is surrounded by independant shops, cafes, bars and awarding winning restaurants like Canteen, Galvin La Chapell and Giraffe. I purchased a beautiful painting traditional to London, as well as some amazing candles from Lily Francis London. I was told some of the Royals purchased these…and I can see why…they are delicious and great gifts. The Jamaican Cafe & Walnut is just scrumptious! After that we returned to the hotel to get ready for an remarkable dinner at Nama Artisan Raw Foods in Notting Hill. This delectable & artisan raw food cuisine, provided by London’s premiere raw vegan restaurant. They offer cleanses, supper clubs, classes are more! Raw is their passion! We tried a variety of items. The Lasagna Verdure was my personal favorite, the burst of flavors are indescribable, you can’t go wrong with the Sushi Platter or the Chilli, and it’s all great and great for you! Then we popped in Beach Blanket Babylon Notting Hill. What an exquisite bar, featuring crafted cocktails. If you are in Notting Hill, you have to stop in for a drink. Table reservations are recommended! The last stop was the Landmark Hotel, where we completed the evening with a nightcap. All things must come to an end, but I have to say this short, but sweet trip is at the top of my list. London is such a lovely place and I can’t wait to go back! I hope my tidbits are helpful! If you ever need help with planning a trip, don’t hesitate to ask. LynxxUSA Unrivaled Travel will do everything possible to make your trip extra special. www.lynxxusa.com. This is all such great information! Can’t wait for my next trip to London!